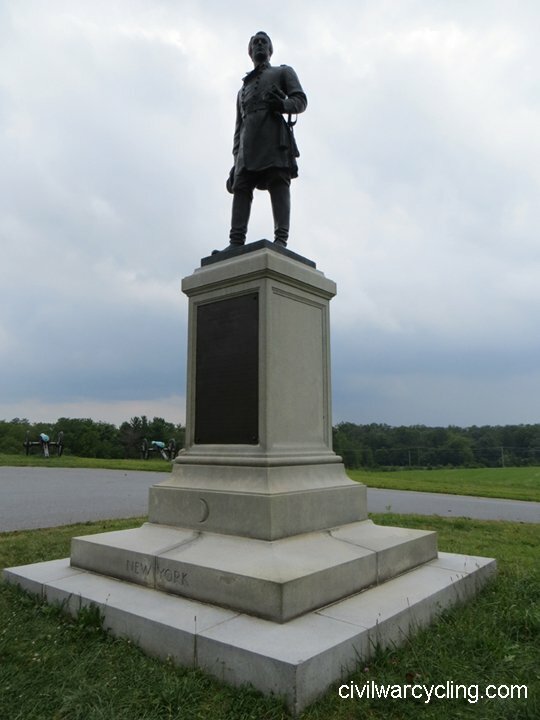 There are twenty bronze statues that honor Union heroes — both soldiers and citizens — at Gettysburg. 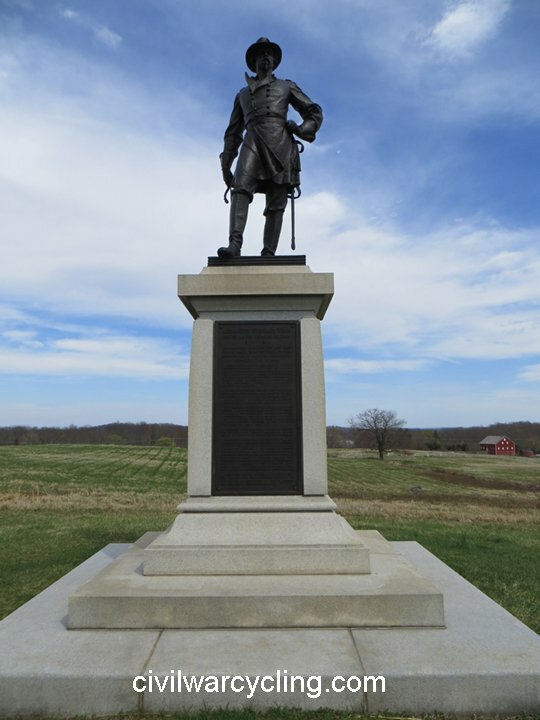 This count does not include equestrian monuments. 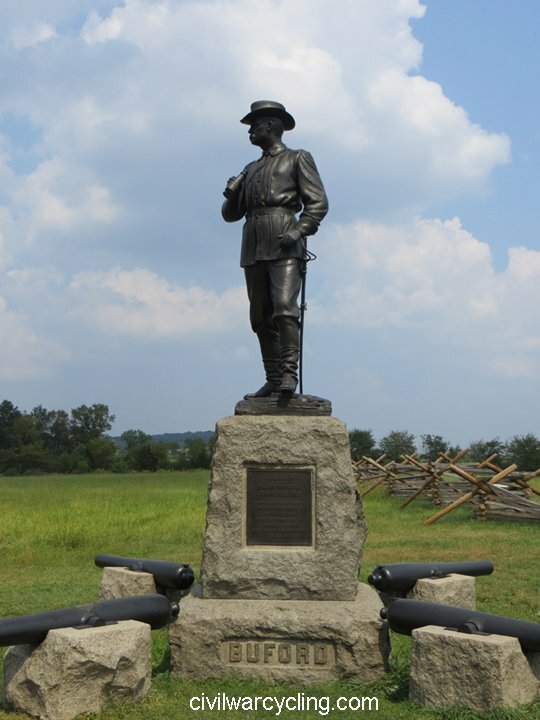 Finding USA individual statues at Gettysburg is not hard, since there are so many of them. But if you want to see all of them, or a particular subset of statues, then a little planning is required. 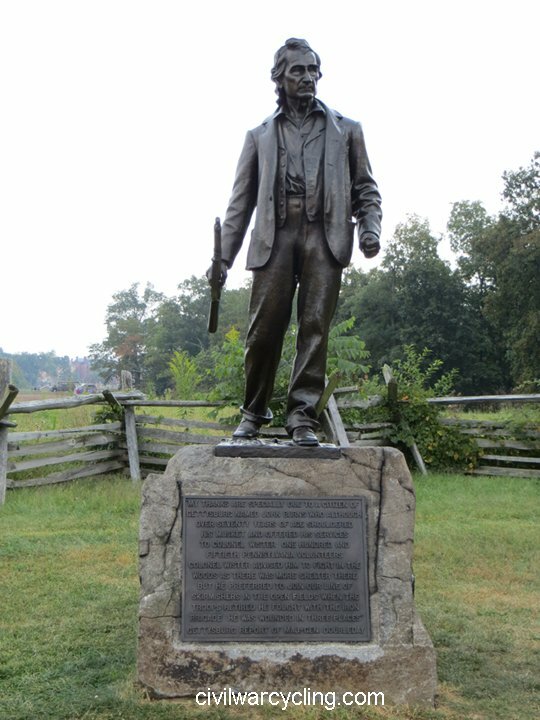 Sixty-nine year old John L. Burns, who joined the fight on McPherson’s Ridge on July 1, 1863. 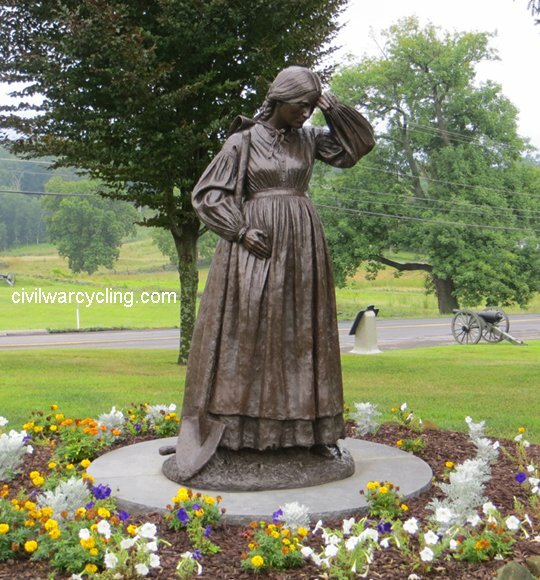 Twenty-year-old Mary Virginia “Jennie” Wade who was killed while baking bread for Union soldiers on July 2, 1863. Thirty-year-old Elizabeth Masser Thorn, caretaker of Evergreen Cemetery, who helped to bury the Union dead. 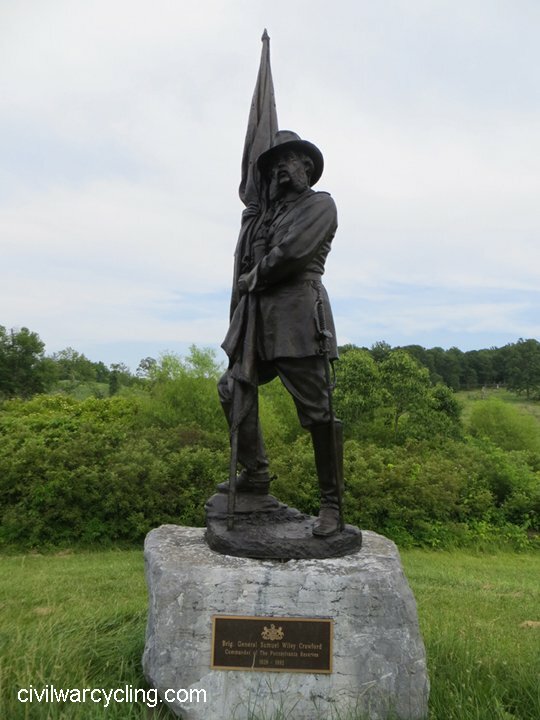 With the exception of Albert H. Woolson, who is honored as the last surviving (and honorably discharged) Union Civil War Veteran, all other statues honor officers of the Army of the Potomac who fought at the Battle of Gettysburg. 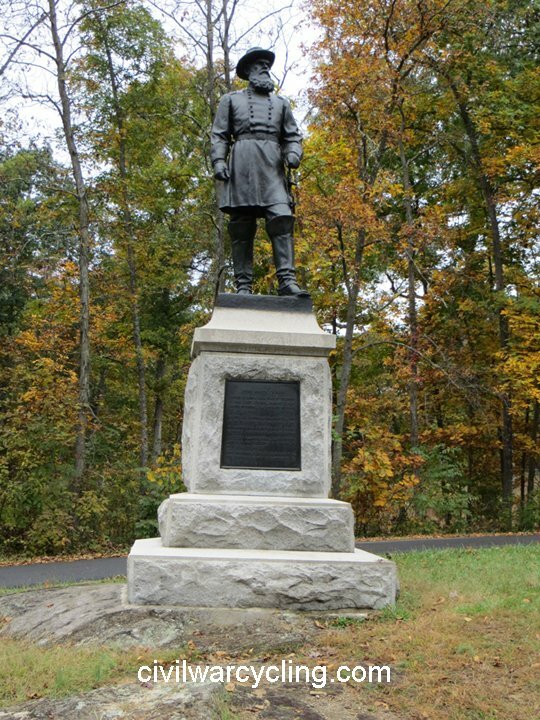 Notably, though, more generals fought at Gettysburg than have bronze statues. 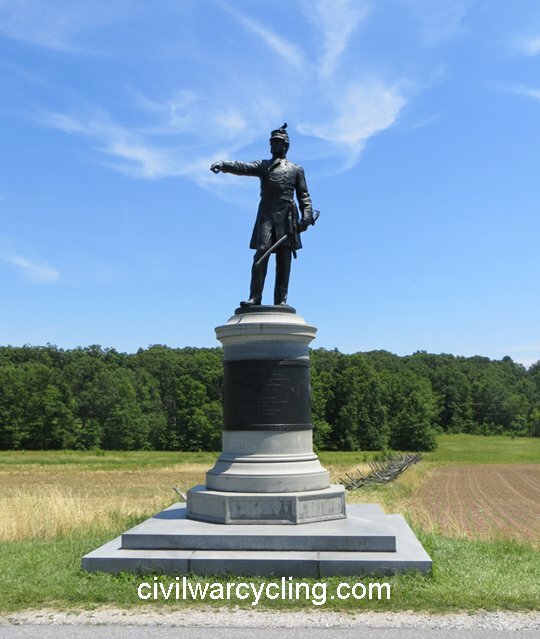 I have listed Gettysburg’s statues roughly in the order that a bicyclist might want to visit them. 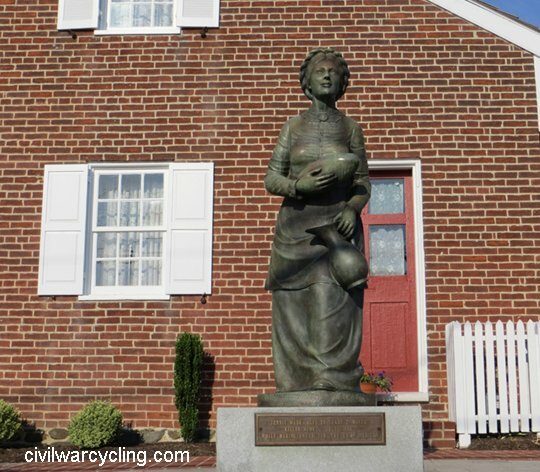 The statues are sequenced in a way that would make sense to someone who is planning a bicycle route. 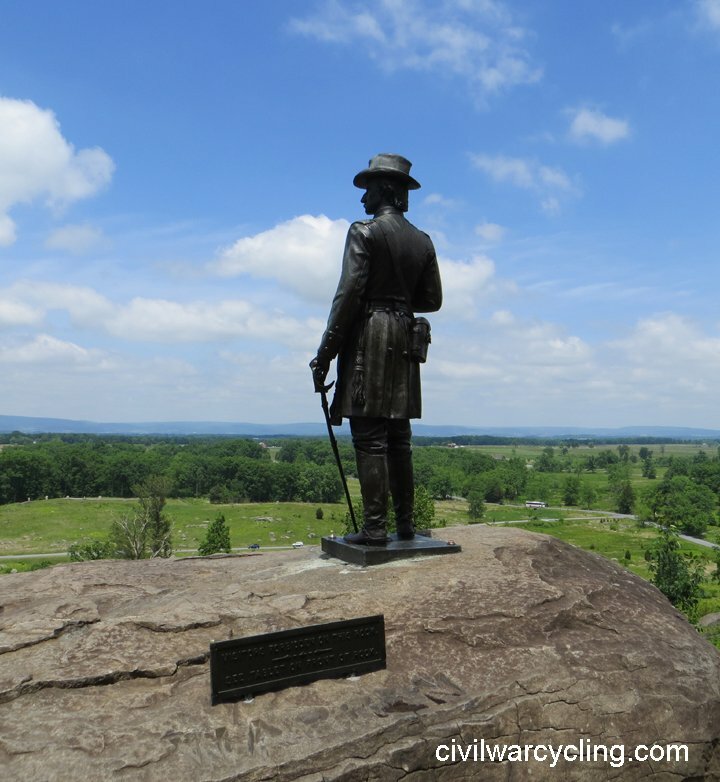 Finding USA individual statues at Gettysburg is not hard, but planning is required if you want to visit all of them, or a particular subset of bronze statues. 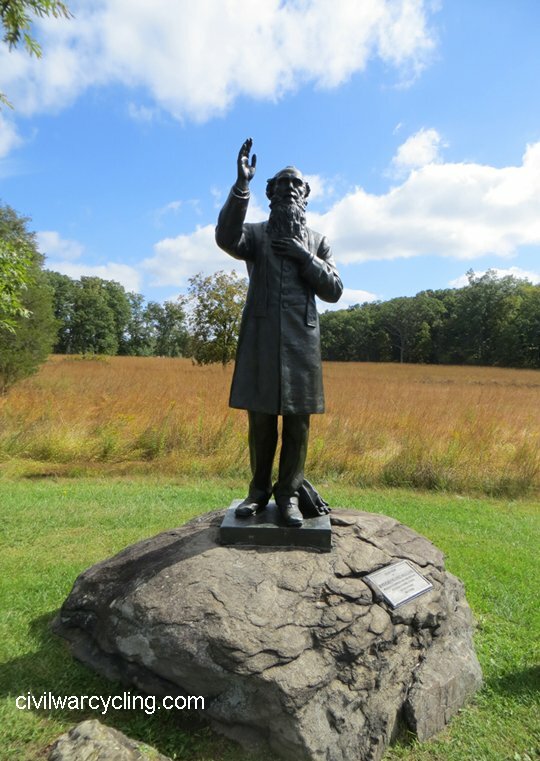 Can you find bronze statues (above) at Gettysburg using the following maps? Give it a try! 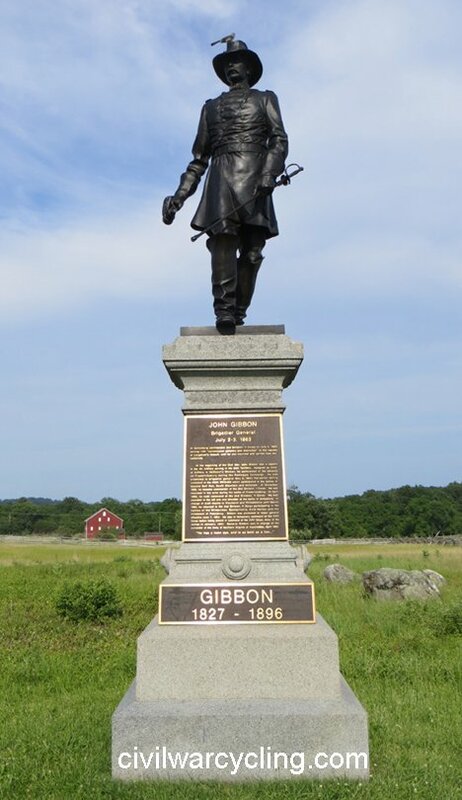 For each statue’s photograph, find its location on the map. 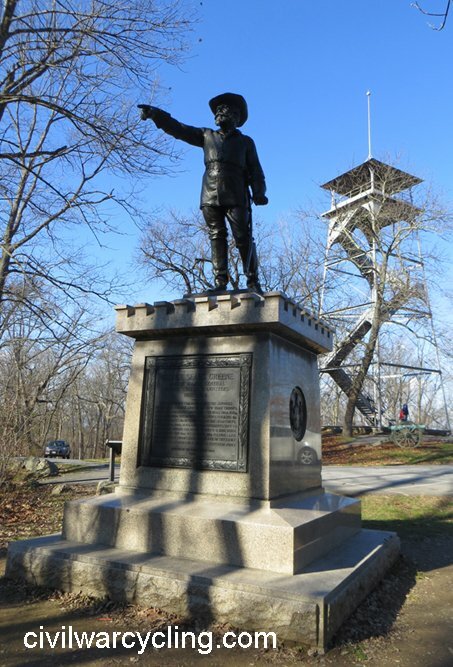 (Or you could do it the other way around: For each map location, find the associated statue photograph.) 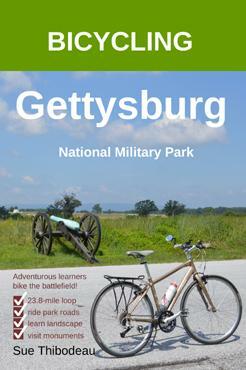 The following sections provide the maps and photographs. I am deliberately leaving this work to you as a learning exercise. 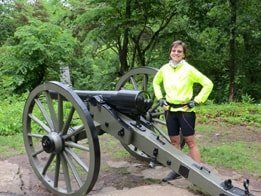 As you interact with the maps, photographs, and above table, I believe that you will find yourself learning more about Gettysburg National Military Park. For each map provided on this page, hover over any pin with your mouse, or tap the pin on a mobile device, to read what the pin marks. The abbreviations are derived from the monument names shown in the table above. 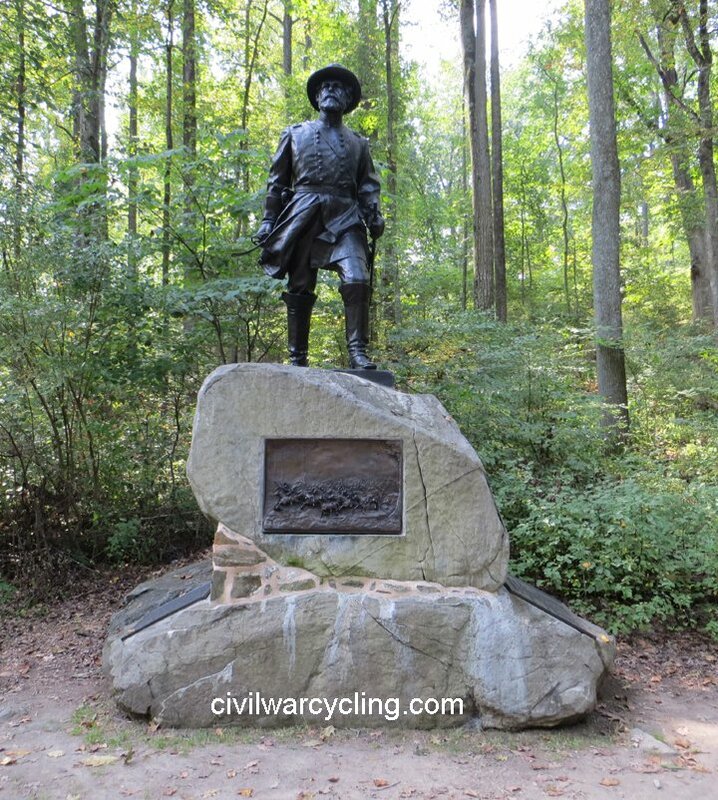 Finally, it’s time to plan a bicycle route that passes each bronze statue. You have everything that you need! 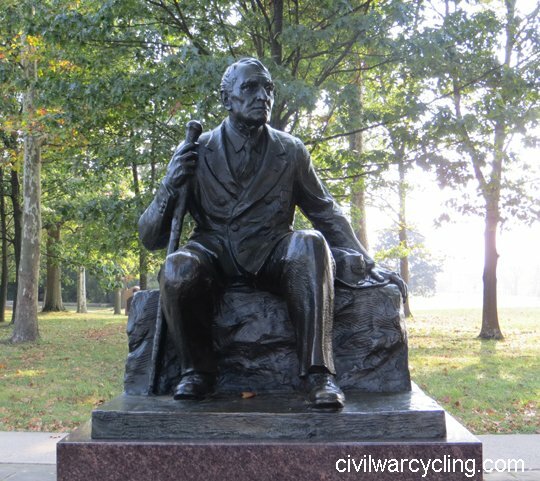 It is certainly possible to design a circular bicycle route that passes each of the twenty bronze statues. However, it is more likely that you will want to plan smaller circuits, or to include these visits in a more broadly themed route. 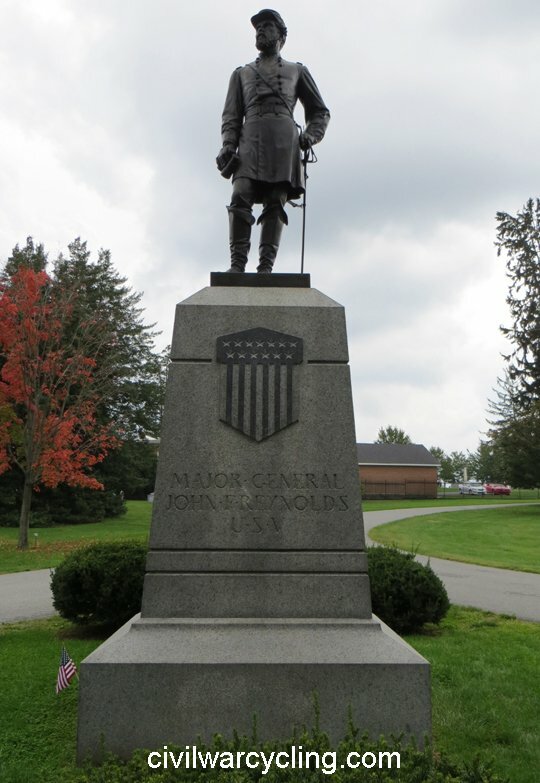 The first route segment would focus on battlefield events of July 1, 1863 (and include the six statues that are north of town). If you visit numbers [1-6], above, in that order, you will be able to bicycle with the flow of traffic. 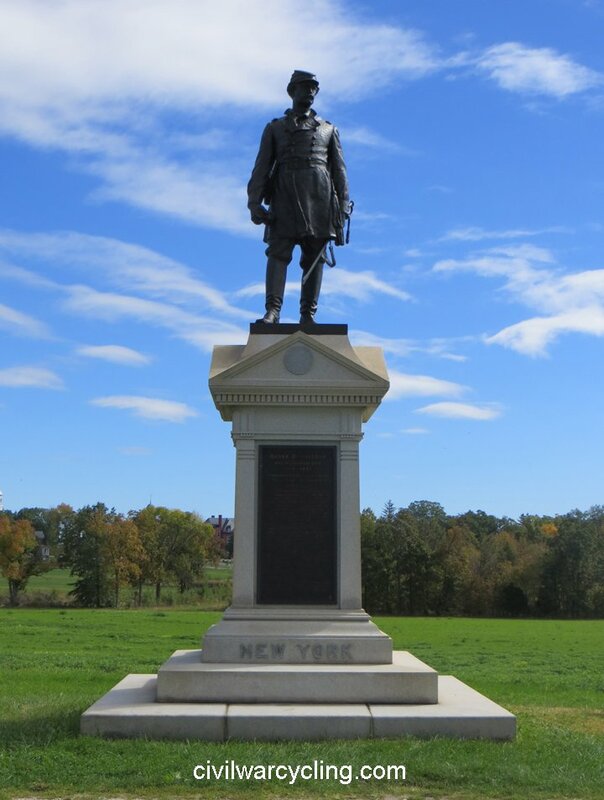 The second route segment could begin on South Confederate Avenue at the William W. Wells Statue  and head north along Cemetery Ridge to the Alexander Hays Statue  in Ziegler’s Grove, with a possible westward detour to visit the A. 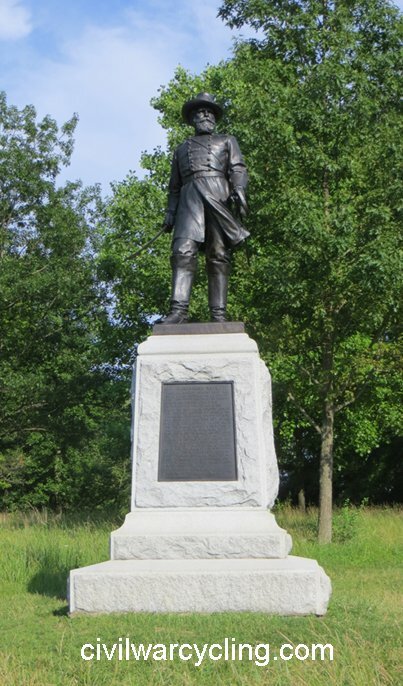 A. Humphreys Statue  on Emmitsburg Road. This segment covers numbers [7-15]. 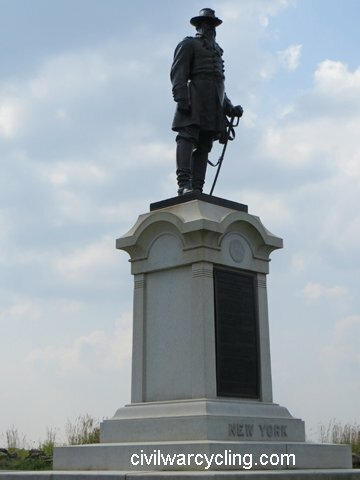 The third route segment could begin in Spangler’s Spring, heading north on Slocum Avenue to visit the John W. Geary Statue  and the remaining statues, [17-20], in order. 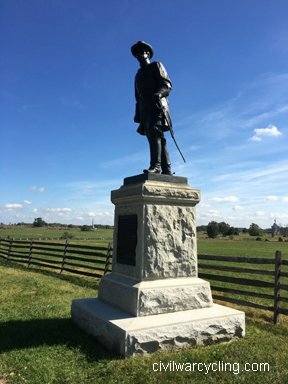 Thanks for Finding USA Individual Statues at Gettysburg!